Black Satellite is a rock duo from NYC comprised of Larissa Vale and Kyle Hawken. Having been writing music together for six years, Black Satellite is the culmination of a deep-rooted partnership contributing to their unified writing style. 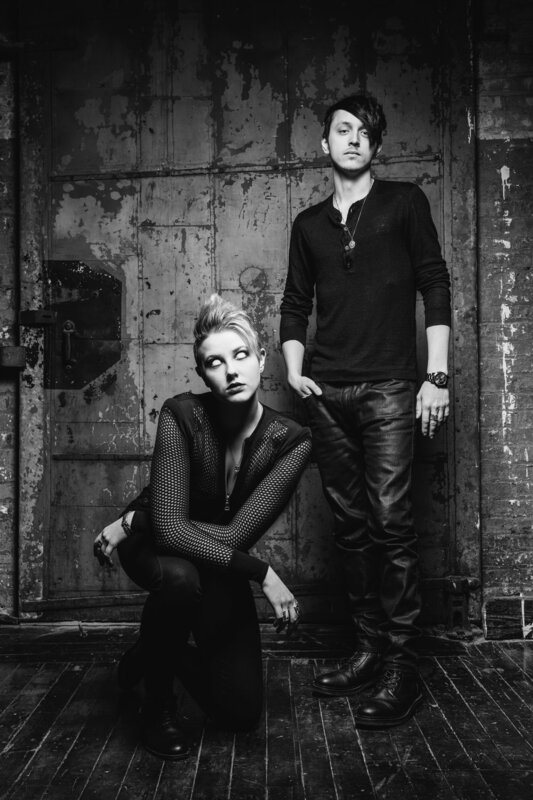 Shortly after launching their first single “Valkyrie” from their full-length album “Endless, " Black Satellite was requested as support for Starset at NYC’s Gramercy Theatre on the strength of their debut. Their follow up single "Blind" premiered on ibobi Radio and was subsequently featured on Alternative Press via their discover playlist. Black Satellite has also appeared in the January 2018 print issue of Alternative Press Magazine in promotion of their new record. “Endless” is thought-provoking, modern, and tastefully aggressive. This is especially showcased through Vale’s often haunting vocals paired with Hawken’s foreboding guitar riffs and instrumental. For their new album, Black Satellite teamed up with prolific mastering engineer, Ted Jensen. This was a dream-come-true for the band as Jensen has worked with several of the band's inspirations ranging from Muse to Marilyn Manson. Billboard describes the album as "the end point one might arrive at after listening to all of Muse’s catalog and deciding they just weren’t epic enough." “Endless” paints an almost cinematic landscape, with every song progressing into the next revealing a new facet of the duo’s style and complexity. This lends itself to a well-crafted tonal arc that is sure to satisfy. Black Satellite’s latest release features two cover songs paying tribute to Type O Negative, which subsequently charted on metal radio.